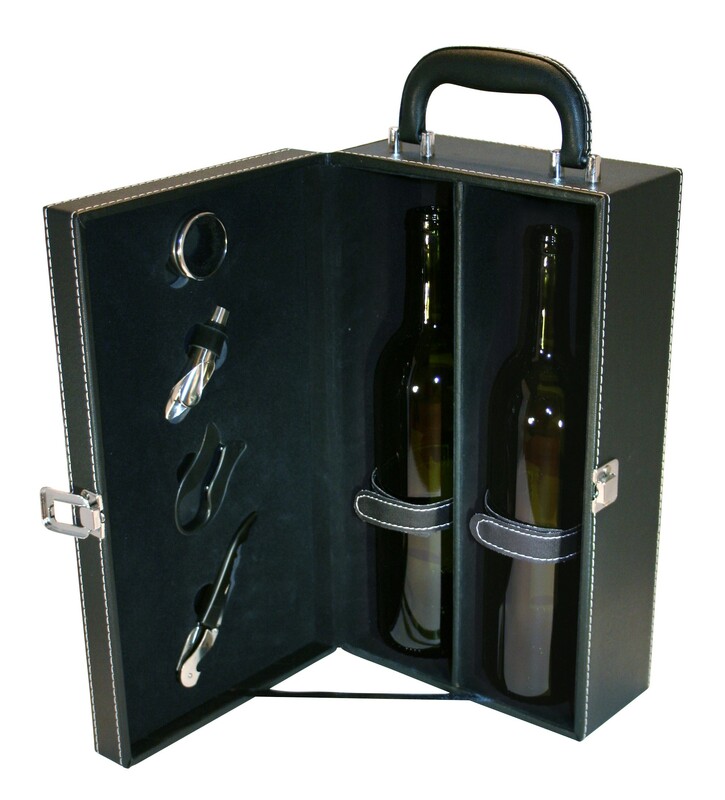 Our Black Leather Wine Carrier Holds two bottles of wine (not included) and a set of wine tools. Your custom logo or design can be imprinted on the front of case. This elegant leather case is perfect for a corporate gift or your promotional needs. The carrier is also available without an imprint. To order, simply contact us at contact us at 1-866-755-8751.